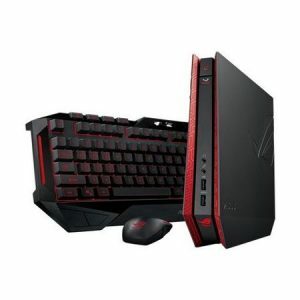 Download ASUS ROG GR6 Mini PC Windows 10 64bit Drivers, Applications and Manuals. -eManual -eManual V1.01.00 for Windows 7/8/8.1/10 32bit & 64bit. -Steam -Steam V2.10.91.91 for Windows 7/8/8.1/10 32bit & 64bit. -ROGGameFirst_III -ROG GameFirst III V1.00.31 for Windows 7/8/8.1/10 32bit & 64bit. -HomeCloud -ASUS HomeCloud V1.01.04 Install Program for Windows 7/8/8.1/10 32bit & 64bit. -AISuite3 -ASUS AI Suite V1.01.00 Install Program for Windows 7/8/8.1/10 32bit & 64bit. -PC Diagnostics - ASUS PC Diagnostics V1.4.5 for Win7 32bit & Win7 64bit & Win8 32bit & Win8 64bit & Win8.1 32bit & Win8.1 64bit & Win10 32bit & Win10 64bit.